On Sunday, Republican vice presidential nominee Mike Pence defended how his running mate, Republican presidential nominee Donald Trump, responded to the "unimaginable" shooting death of Nykea Aldridge, cousin of NBA star Dwyane Wade. Republican vice presidential nominee Mike Pence on Sunday defended his running mate Donald Trump's controversial response to the "unimaginable" shooting death of Nykea Aldridge, cousin of NBA star Dwyane Wade. During an interview with CNN's Jake Tapper, Pence said "Donald Trump has a plain-spoken way about him." "The tragedy of a mother pushing her child on the streets of Chicago being shot and killed as Nykea Aldridge was just breaks my heart," Pence told Tapper. Trump's response to the shooting was heavily criticized over the weekend with many claiming he used the tragedy to promote his campaign. After facing criticism, Trump sent out another tweet later the same day. Pence claimed Trump was outlining a choice between Republicans and "the party that has been responsible for the liberal policies that apparently have been content with unsafe streets in Barack Obama's hometown of Chicago, where 2,700 people have been shot this calendar year alone." Trump’s campaign has recently started targeting the African-American community in its campaign efforts. Last week, Trump told Bill O’Reilly that he thought Chicago’s violence could be stopped within a week using “tough police tactics,” citing an unnamed source within the Chicago Police Department. But Chicago Police Supt. Eddie Johnson said Aldridge's death higlights "the challenge we face here in Chicago with repeat gun offenders that don’t care who they shoot, don’t care whose life they take, and clearly, clearly don’t fear the consequences of their actions." Tapper also asked Pence, who currently serves as Indiana’s governor, about the repeated claims from Chicago's top cop that illegal guns are making their way into Chicago from Indiana. Tapper responded that that wasn’t particularly the case in Indiana, though. “In Indiana, we know what most Americans know, is that firearms in the hands of law-abiding citizens makes our communities more safe, not less safe,” Pence said. “Not those guns that go over the border,” Tapper said. 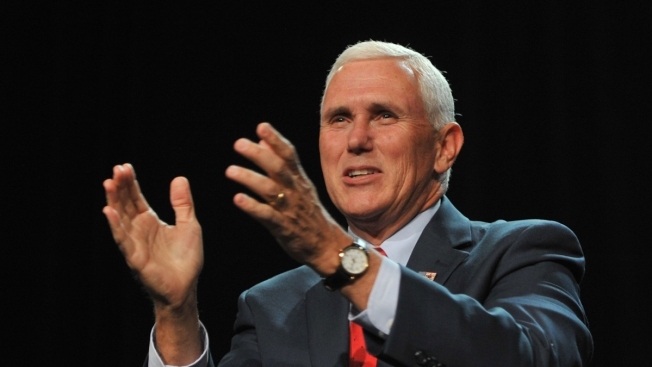 “I know the president wants to blame-shift to Second Amendment rights,” Pence added.